There are situations when you need portable filtration systems especially when you have to perform filtration at multiple points in a plant or you have to use a system at different locations. In certain applications industries like to lease a system instead of installing it permanently. For such scenarios we have developed what we call "Skidded Filter Systems". 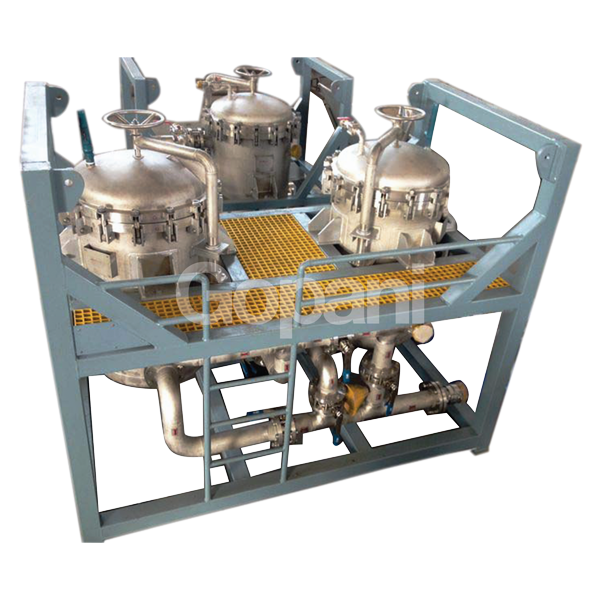 The entire system is mounted on a skid and is easily transferrable.